Dolphins (-2.5) over BILLS. Thad Lewis returns to the starting lineup this week for Buffalo, replacing the injured E.J. Manuel. Back in Week 7, he led the Bills to a victory over the Dolphins in Miami. And yet, I'm saying that this week, it will not be the same. Miami has been playing a lot better since then, and now that they're in the thick of the playoff race, expect Tannehill to come out firing, resulting in a Dolphins win. BENGALS (-8.5) over Vikings. I'm going to throw out last week as an anomaly for both the Vikings and the Bengals. As I mentioned earlier, the Vikings game was just weird, and the Bengals were down early. This one should be a big win for Cincy, especially playing at home. However, it looks like the defensive injuries are starting to catch up with the Bengals, therefore dampening their hopes of making a run in the playoffs. That's pretty sad because they have a pretty good roster, which is why I picked them to win the AFC, but, there's always next year. Colts (+7) over CHIEFS. I seriously don't know what to pick here. On one hand, the Colts are extremely inconsistent, can fall apart at any time, especially against this Chiefs defense, which is so stingy against the pass, and will not be able to stop Jamaal Charles. On the other hand, there's a chance that the offense plays great and is able to contend in this one. This may be the toughest line all year. Buccaneers (+4.5) over RAMS. Two interesting teams here that should feel very good about themselves heading into the offseason. The Bucs have a really good defense, and as long as Mike Glennon develops further or they get a quarterback to lead their offense next year, they can be quite the sleeper team. The Rams have been boom or bust all year, and they too have a great defense, in addition to Zac Stacy. What they are missing, is a quarterback. As for this game, it should be close. It's kind of hard to forecast either of these teams. Browns (+1.5) over JETS. I'll have a full preview later, but in short, Josh Gordon is going to tear Antonio Cromartie apart like Sid Phillips tore apart his toys in Toy Story. As a Jets fan, it's going to be painful. As a Josh Gordon fantasy owner...UPSET ALERT. Cowboys (-3) over WASHINGTON PROFESSIONAL FOOTBALL TEAM. Even after last week's ridiculousness, I need to pick the Cowboys here. Washington is absolutely terrible, so it looks like Dallas should be able to get back on track in this game. If not, well then, the coaching staff should be cleaned out by next week's game. Merry Christmas Jason Garrett! PANTHERS (-3) over Saints. It's obvious that the Saints aren't the same team on the road, and that should be in play this week. Despite what happened in Week 14 when these teams squared off, resulting in a Saints blowout victory, I believe that the Panthers are better. Obviously their defense is among the best in the league, and Cam Newton's such a dynamic playmaker that the offenses are comparable. In addition, though it wasn't shown in the first game, the Saints biggest defensive weakness is stopping the run, so the Panthers are just the team that can stop the Saints. In fact, I'll go as far as to say that Carolina's roster construction is much like that of the Jets. Obviously, they're a lot better than the Jets, but the Saints lost in New York back in Week 9. JAGUARS (+5) over Titans. I'm all in on this Jags team right now. Especially against the Titans, who are now only one game better than Jacksonville. I swear I'm not saying this because he's on my fantasy team, but expect Jordan Todman to have a huge game, leading to a Jaguars victory. UPSET ALERT. Broncos (-10) over TEXANS. The Broncos should figure everything out in Houston against an abysmal Texans team. I expect to see Brock Osweiler by the end of the game to hold onto the unreasonably large Denver lead. LIONS (-10) over Giants. While the Cowboys are one of the most disappointing teams in the league, the Lions are certainly giving them a run for their money. Both Jay Cutler and Aaron Rodgers got hurt, literally gift-wrapping the NFC North for Detroit. And yet, they now find themselves at 7-7 and on the outside looking in at the playoff picture. I'll say that it starts with Jim Schwartz, the coach can't stick around after his team has flopped so hard this season. At least for today, they'll look good because they're facing a pretty bad Giants team fresh off Eli Manning hitting rock bottom. But the Lions still shouldn't feel good about themselves. Cardinals (+10.5) over SEAHAWKS. I'm not sure it needs to be said anymore, because it should be obvious by now, but the Cardinals are a good team. They won't make the playoffs because the NFC has two quality Wild Card teams, but there is no reason for Arizona to hang their heads about it. They should be able to keep it closer than you might think against the Seahawks. PACKERS (-1) over Steelers. Aaron Rodgers is out, meaning that we have at least one more week of the Matt Flynn Experience. As we saw last week in Dallas, he's at least competent, and I believe that the rest of their roster is better than that of the Steelers. CHARGERS (-9.5) over Raiders. The Chargers offense is really good, and every knows that the Raiders let up 56 points to the Chiefs, with 30 coming from Jamaal Charles alone. This game is going to be a blowout. RAVENS (-1) over Patriots. New England is dealing with so many injuries, and they are a significantly worse offense without Rob Gronkowski. Their offense is totally built around him dominating the middle of the field and giving them a red zone threat. Yes, Justin Tucker is literally the entire Ravens offense, but that will probably be enough today. EAGLES (-3) over Bears. I can't believe that both of these teams are division leaders, when really, they are only in that position because they each have 7-7 train wrecks in their respective divisions. Anyway, this game should be quite the offensive show. Defensive coordinators, look away...now. 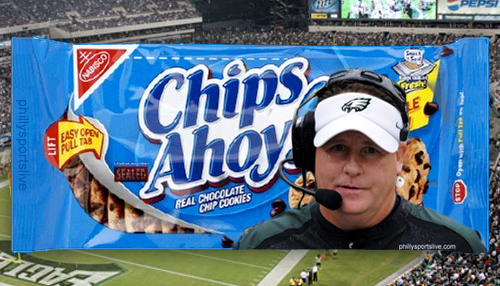 In a shootout, I'm going to take the Eagles and Chip Kelly's Offense-a-Palooza to win. 49ERS (-14) over Falcons. I feel uncomfortable with this line being so high, but I'd feel even worse if I picked the Falcons to cover, while San Francisco ends up winning by 23. Great team over a bad team, it doesn't get much easier than this.